Republican presidential candidate Mitt Romney cast his vote in Belmont, Massachusetts, along with his wife, Ann, around 8:45 a.m. ET. Asked by a reporter as he left the room who he voted for, Romney said, "I think you know," according to pool reports. Romney arrives at his charter in Bedford. Next stop Cleveland. Then Pittsburgh. Then back to Boston. Then??? 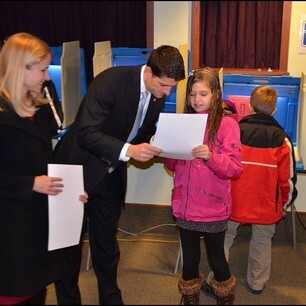 GOP vice presidential candidate Paul Ryan has cast his vote in Janesville, Wisconsin. Trump says he'll be at Romney's election night party in Boston Tuesday. President Obama visited a campaign field office in Hyde Park in Chicago, where he visited with volunteers, according to pool notes. He also made six calls to voters. while ur waiting for romney win, go to amazon, download The Lizard King by Jamie Weinstein and Will Rahn. smart pol satire at its best! On Tuesday, a judge in Philadelphia ordered election officials to cover a mural of Obama at one city school that was being used as a polling locations after Republicans complained the painting violated electioneering laws. 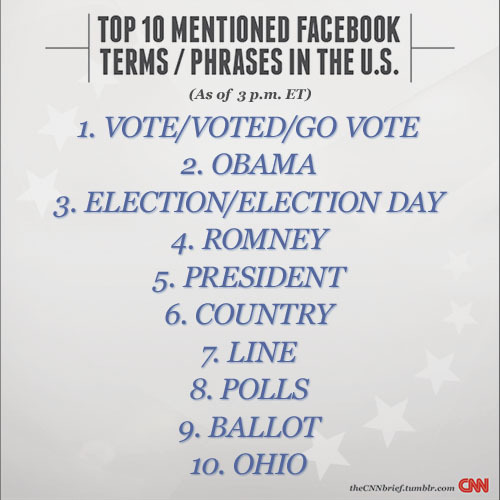 That's just one of the stories CNN's Votewatch team is monitoring as Americans cast ballots across the country. Read more about the mural, and other voting problems, here. A source provides CNN's Dana Bash with talking points for Obama campaign surrogates: "As you spread the word on TV, online and through your networks, remember to remind everybody to go vote and to stay in line – especially young voters, who have so much at stake in today’s election." The talking points emphasize turnout, enthusiasm, and enthusiasm of young voters. 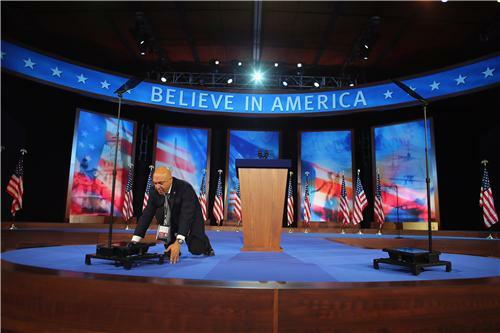 Former New York City Mayor Rudy Giuliani, an outspoken critic of President Obama's handling of the attack in Benghazi, said on CNN just now he didn't think the issue would sway the election. "But I do think it's the most important issue in the election," he added. Is photographing & posting your ballot legal? Depends. Many states don't allow photos in polling places for privacy & to avoid "vote-buying"
Congressman and former Republican presidential candidate Ron Paul says why he isn't throwing his support behind either candidate in the 2012 race for the White House. When will the polls close in the battleground states? Here's a breakdown. 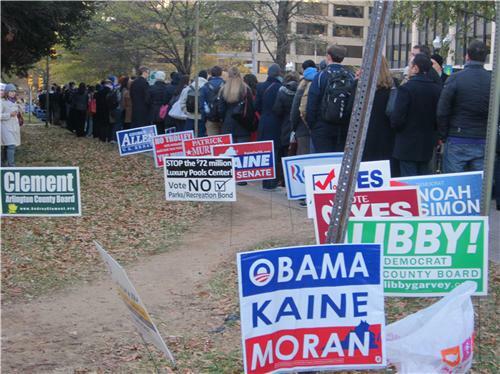 The first Election Day votes were cast at midnight E.T. in Dixville Notch, New Hampshire showing a tie; five votes for President Barack Obama and five for Republican nominee Mitt Romney. Behind Team Obama's basketball superstition? He didn't play a game ahead of the New Hampshire primary in 2008, then lost the Granite State, CNN's Dan Lothian reported just now on air. 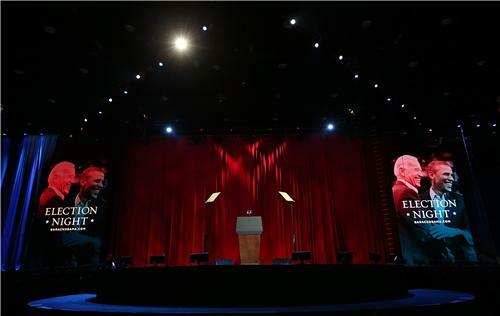 Obama lost the New Hampshire primary by two points to Sen. Clinton after his eight point win in the Iowa caucuses. President Obama has finished playing basketball, and his motorcade is now rolling. Here's what Obama aides say their data shows them: turnout high everywhere, no romney surge, no surprises, afr am turnout up in PA and VA.
Romney on final plane avail: "I feel we have put it all on the field. We left nothing in the locker room. We fought to the very end." Mary Matalin, a Republican strategist and CNN contributor, told Wolf Blitzer she expects Romney to win with at least 315 electoral votes.